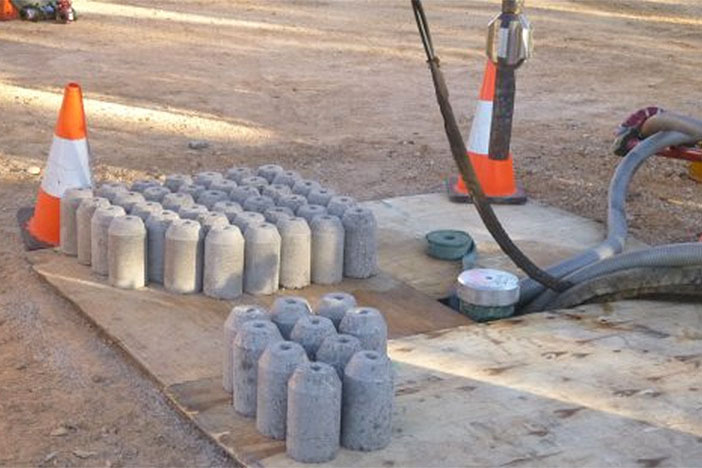 A team from the University of Queensland (UQ) Centre for Coal Seam Gas (CSG) and School of Chemical Engineering is using bentonite, a naturally-occurring clay, to manufacture plugs. “Bentonite is not only cheap, but also easier to handle,” UQ professor Brian Towler says. Plugging wells with bentonite involves compressing dry clay into a cylindrical shape, before dropping or lowering the vertical CSG hole or water well into a standing water column. The hole is then filled-up with water and the clay allowed to hydrate, causing it to seal the hole by swelling out against the sides. The bentonite plug remains in place, sealing the hole indefinitely. Towler says bentonite plugs could be superior to cement plugs because of their malleable, self-healing characteristics, adding bentonite is cost-effective, and extensive deposits are readily available in Queensland. “This could mean local jobs for regional Queensland, not only in mining bentonite, but also manufacturing and inserting the plugs,” Towler says. Professor Towler and his team won a $175,000 Advance Queensland Grant and have partnered with Shell (formerly QGC), Santos, Arrow Energy and Australia Pacific LNG through the Centre for Coal Seam Gas to develop cost-effective plugging technology for CSG wells, water wells and coal bores.